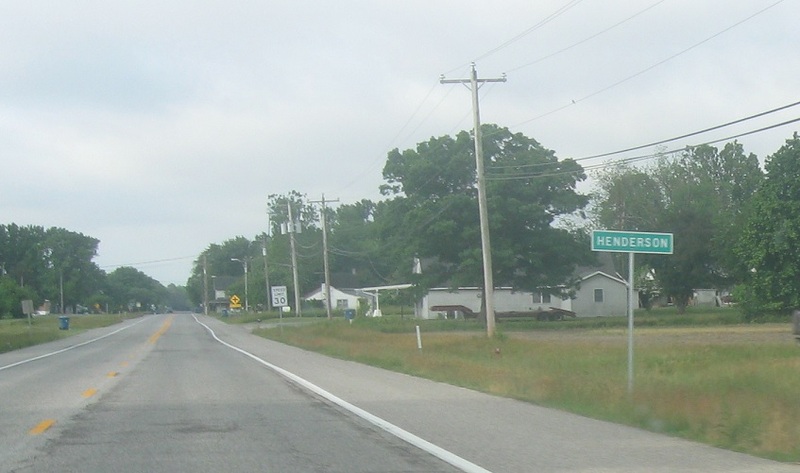 A mile later, we’ll enter Henderson. Reassurance shield as we pass through Henderson. 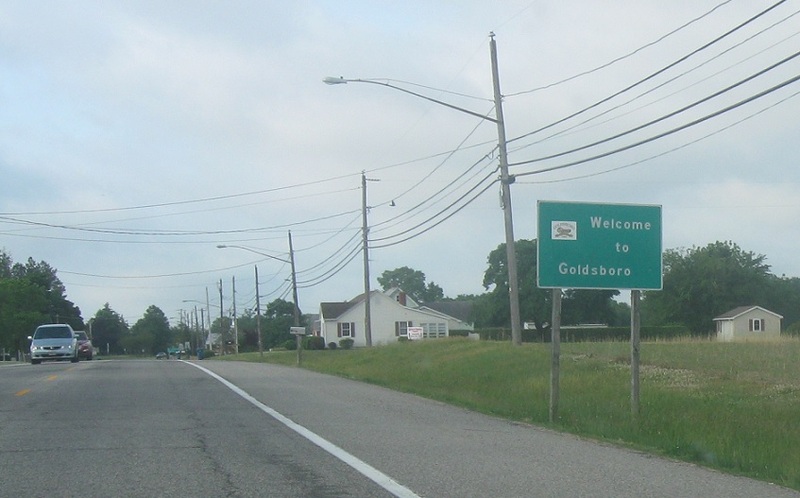 Shortly later, we’ll enter Goldsboro. 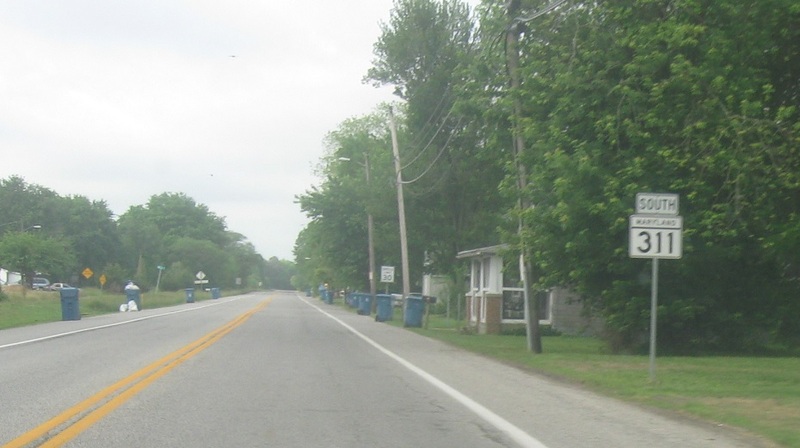 Just ahead, we’ll approach MD 287, which connects to MD 313. 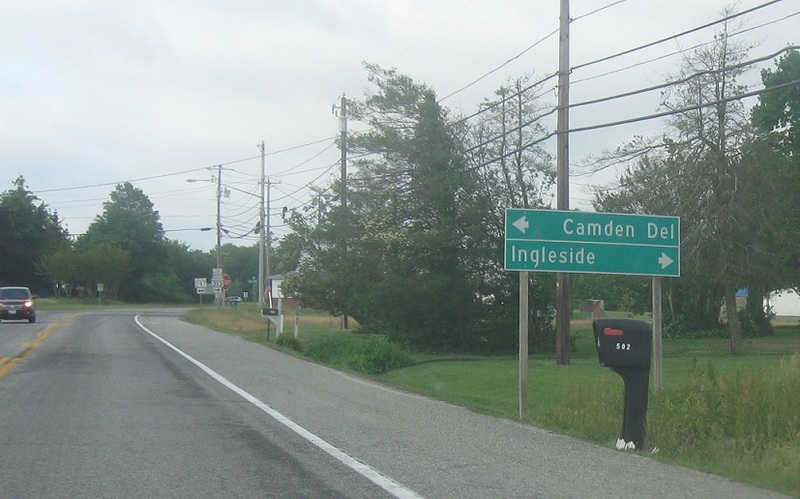 Follow 287 west to Ingleside and 287 east to Camden, Delaware. Turn left for 287 east and right for 287 west. 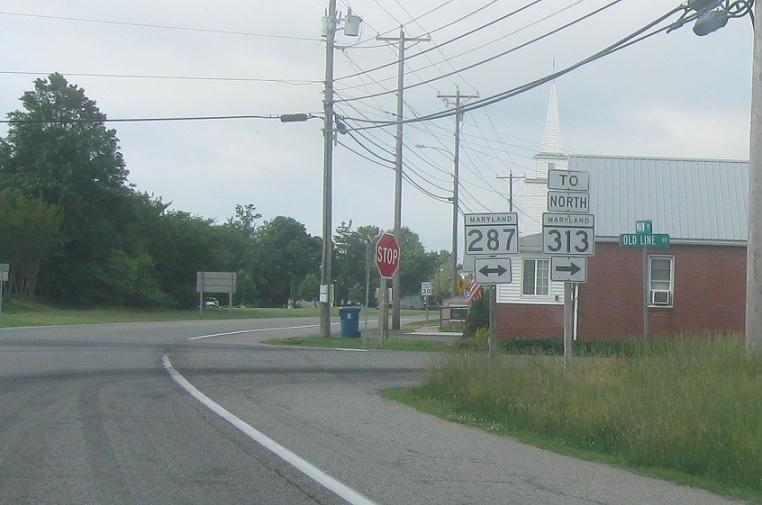 Follow 287 west to MD 313.